Big Splash Down - Visit Maupin, Oregon. How a boys curiosity about an ugly bug turned him into a life-long fisherman. Spinning around, looking frantically for what he had flung off the back of his neck, he spotted a struggling critter. As it flailed away, falling deep into the thick, tall, wild, rye grass, inches from the river’s edge, he realized it was the ugliest bug he had ever seen. 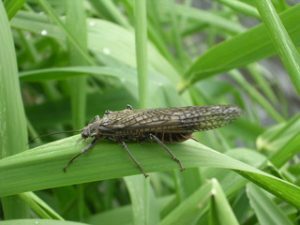 “A Stone Fly Adult, but it’s common nick-name is, Salmon Fly, one of the largest stoneflies in North America that is a water loving ecologically sensitive insect. The color of its body is a sort of a, orange, salmon color. Here I’ll show you.” said the dad. “No, they don’t bite.” said the father. The father gently gathered the bug off a blade of grass it was clinging to and slowly turned it over. The underside of the critter, was sure enough, orange as could be. As they both plopped themselves down in the thick, spring grass to tie on their flies, initially, they didn’t notice the stone fly adults starting to fly over the river to deposit their eggs. Splash! A big redside trout viciously slurps a Salmon Fly off the water just a couple feet from the bank. Ca-BOOM! Again, a trout destroyed the surface as it devoured another fat, juicy, salmon fly. For the rest of the afternoon, those two trout happy clowns had the time of their lives. Hop-scotching around, catching big fish on big flies and laughing so much their sides hurt. This marked one of those rare days that sometimes words can’t describe. A father and son sharing time on a river that is so unbelievably beautiful, you can’t help fall in love with it. Needless to say, they shared this story time and time again during holidays and gatherings, with family and friends, for many year’s. June marks the time of year when Stone Fly adults and other insects emerge and the Lower Deschutes comes alive. Don’t miss this magical opportunity to go fishing with your family and explore the wonders of the outdoors. Come visit the Lower Deschutes. John is the owner of Deschutes Canyon Fly Shop, a full retail fly shop since 1985. 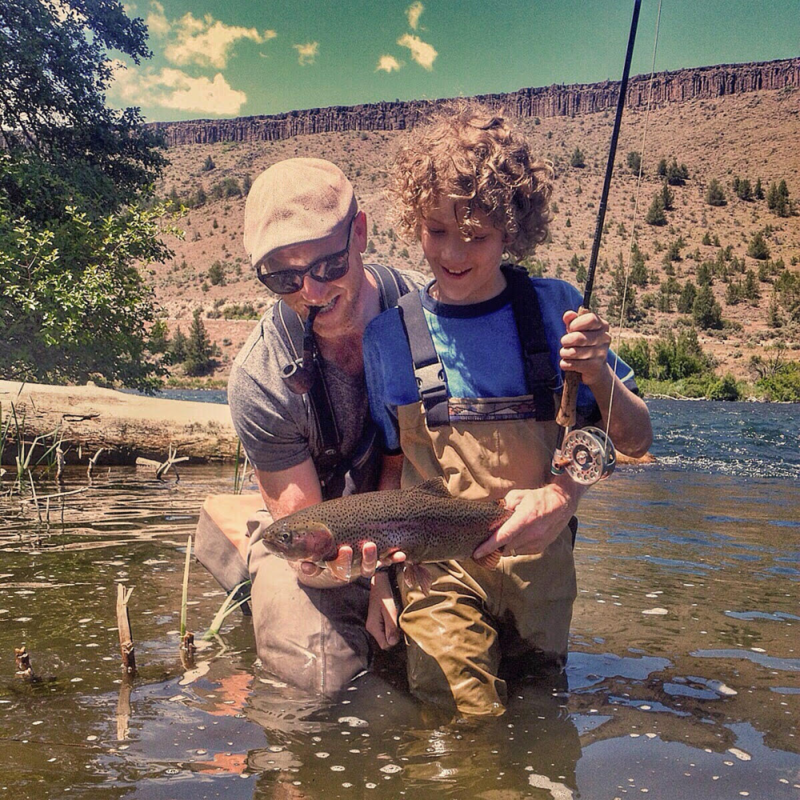 John caught his first trout on the Deschutes River when he was 6 years old.